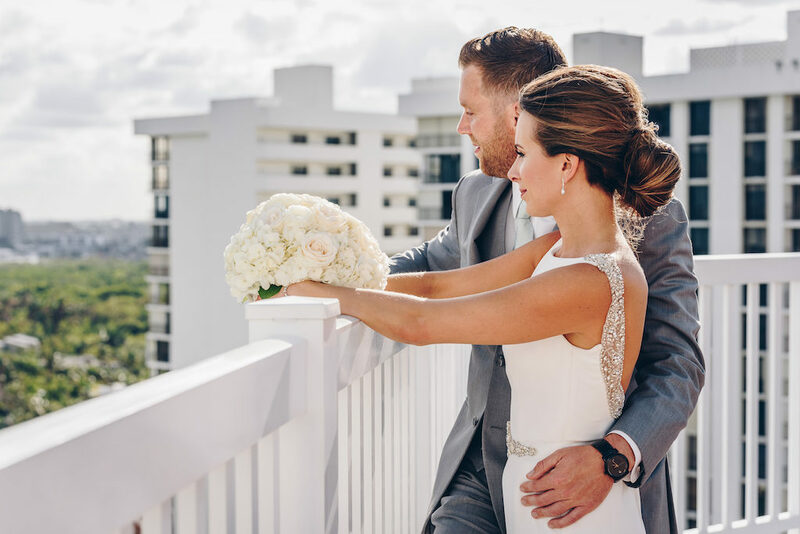 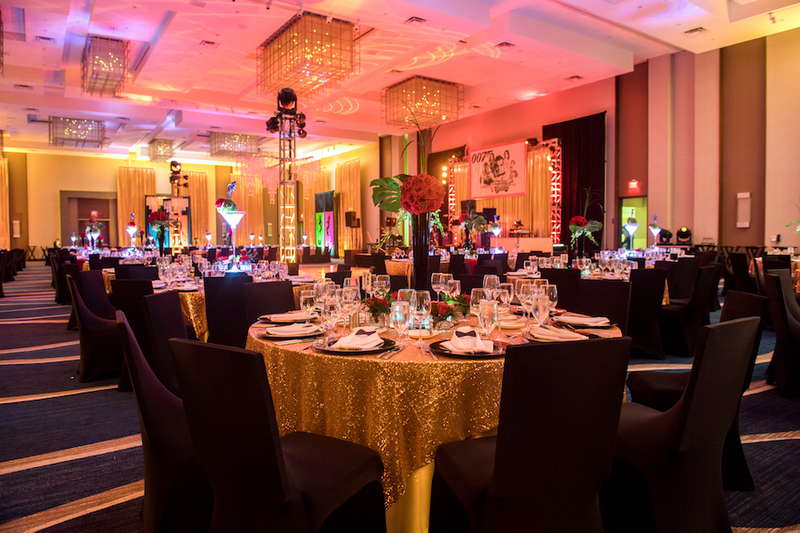 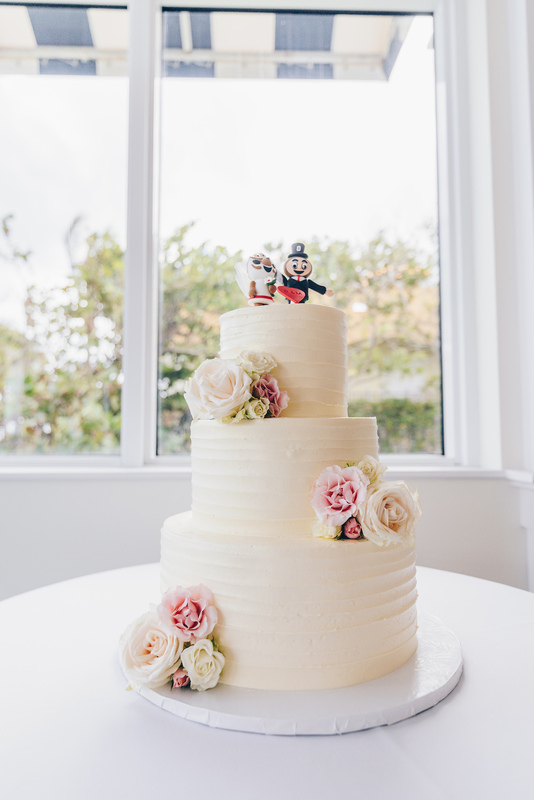 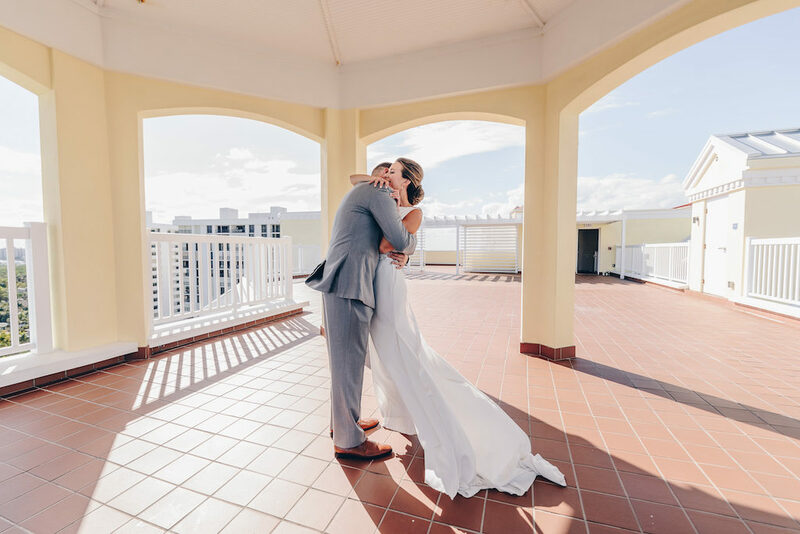 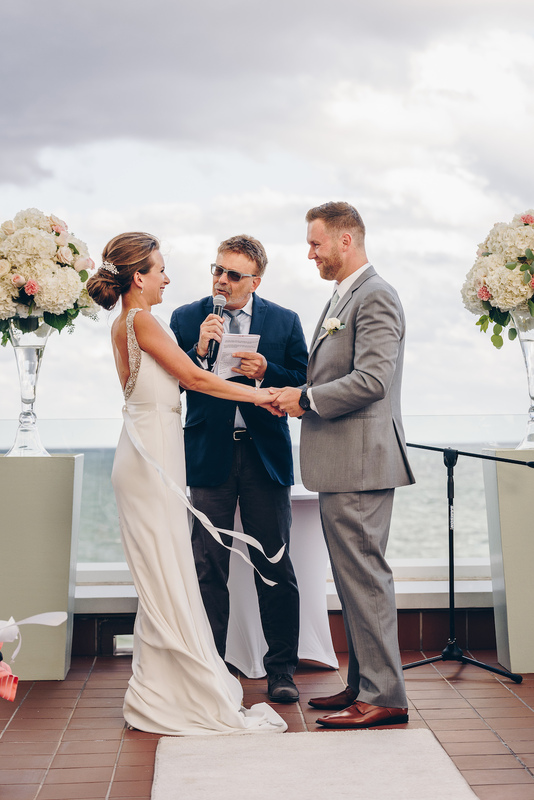 From the selection of colors to various decor and unique embellishments, Matt and Brenna incorporated a lot of their own style to create the Pelican Grand Resort wedding of their dreams. 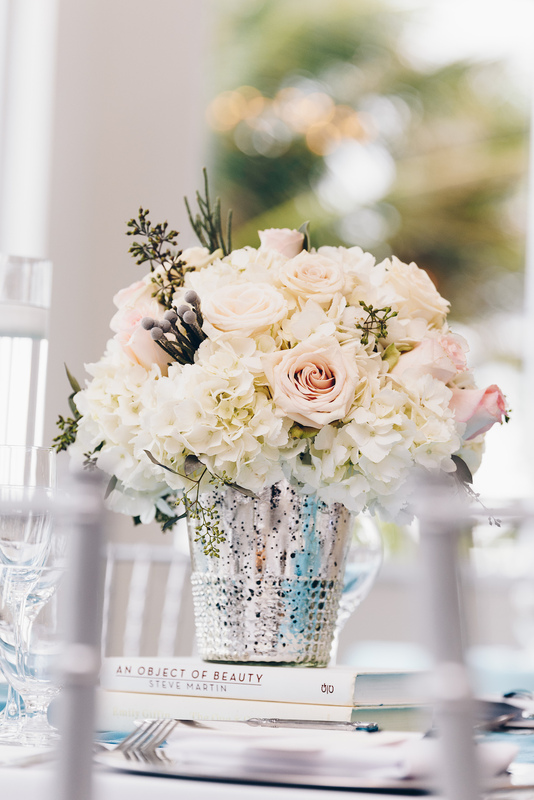 With the delicate and fine color palette, we were so excited to lend our floral arrangements for their beautiful event. 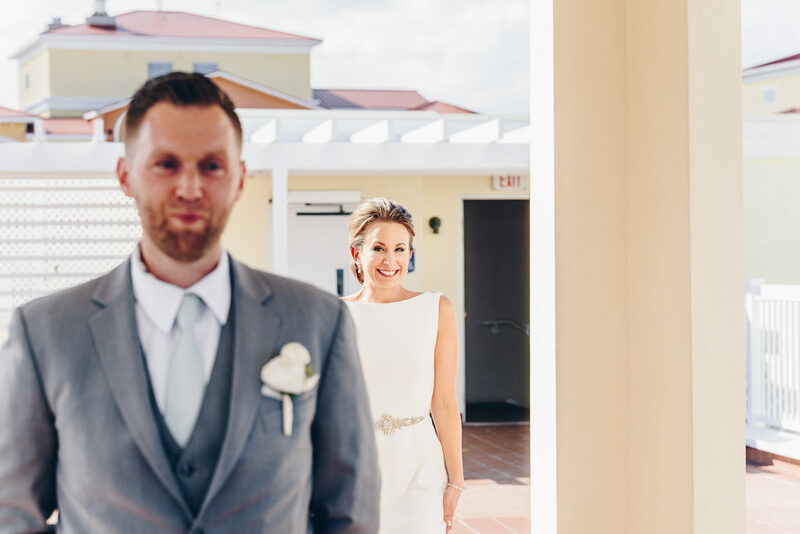 From the shining smiles gleaming off the happy couple, there was no doubt this wedding was going to be a success. 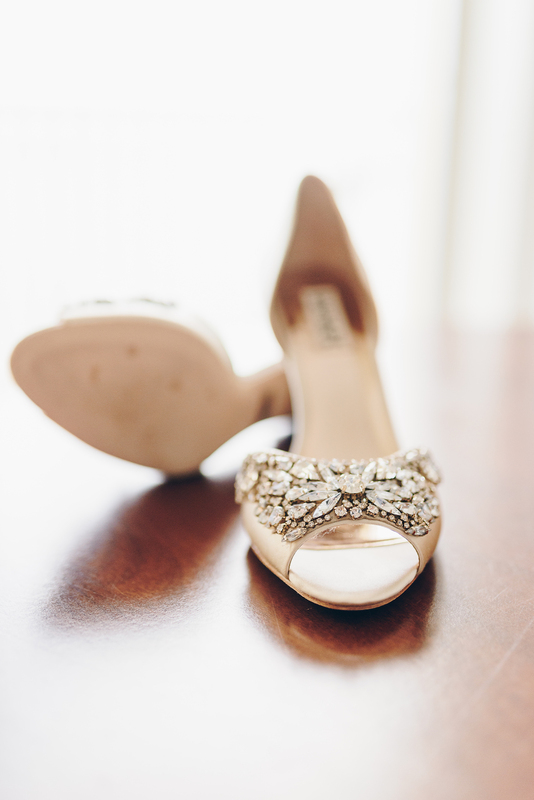 The bride and her girls danced into the morning with a typical girls day in- laughing, dancing and jumping around. 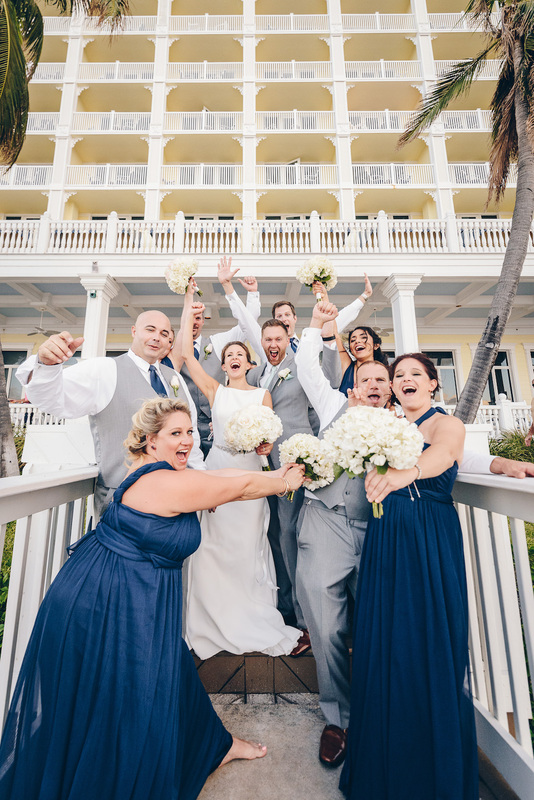 The bride enjoyed herself in a silky gray PJ set while the others matched in navy-blue sets. 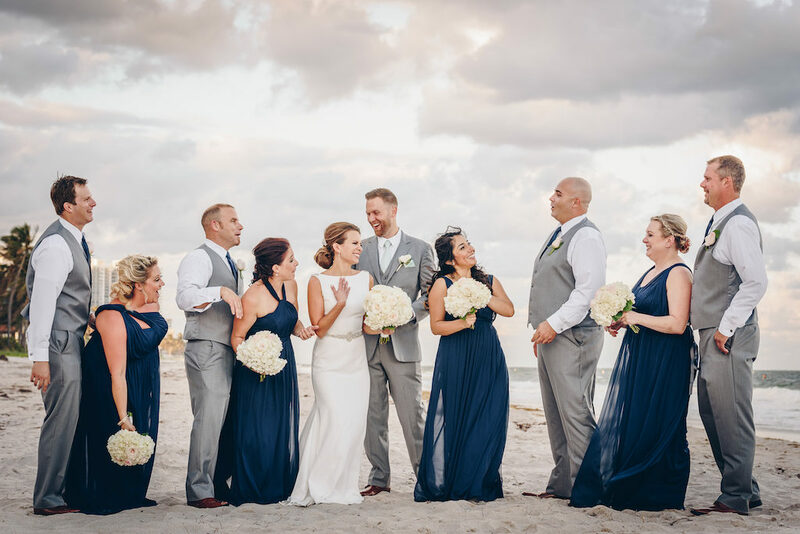 These were the same colors chosen for the bridal party color-palette. 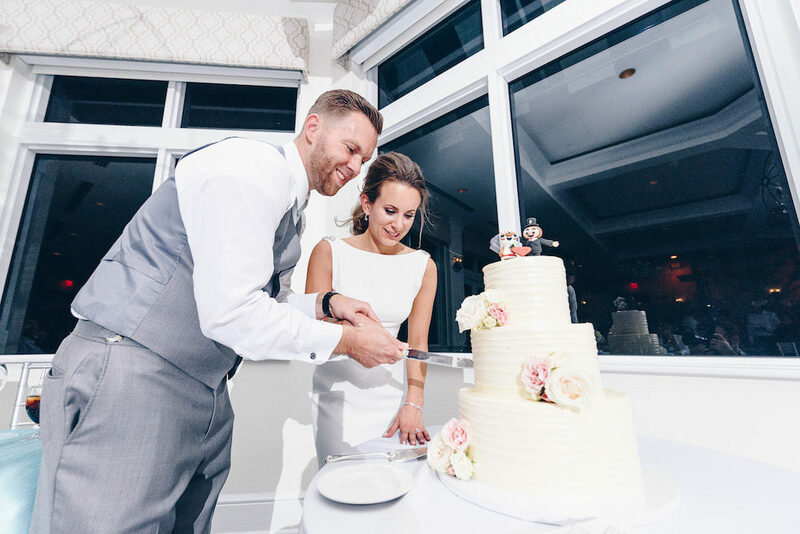 The men also had their own fun cheering into the new marriage and eating slices of an Ohio State cake. 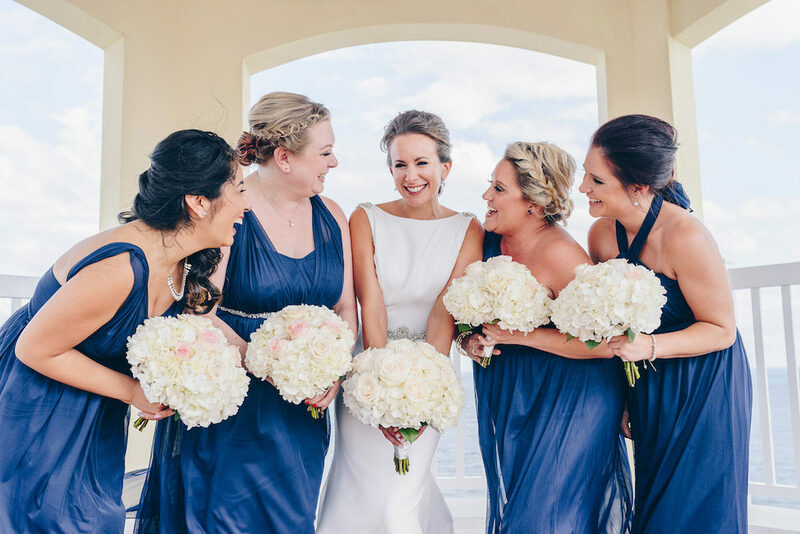 The smiles only grew as the bridal party prepared for the wedding. 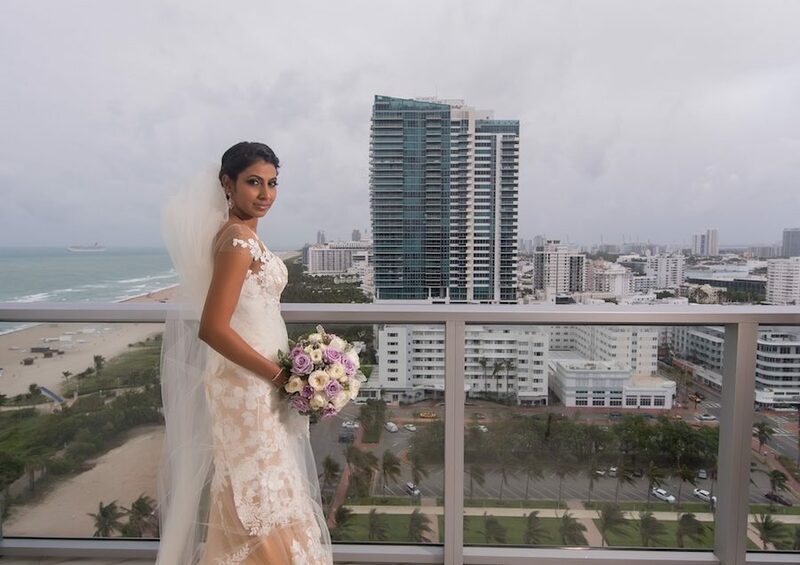 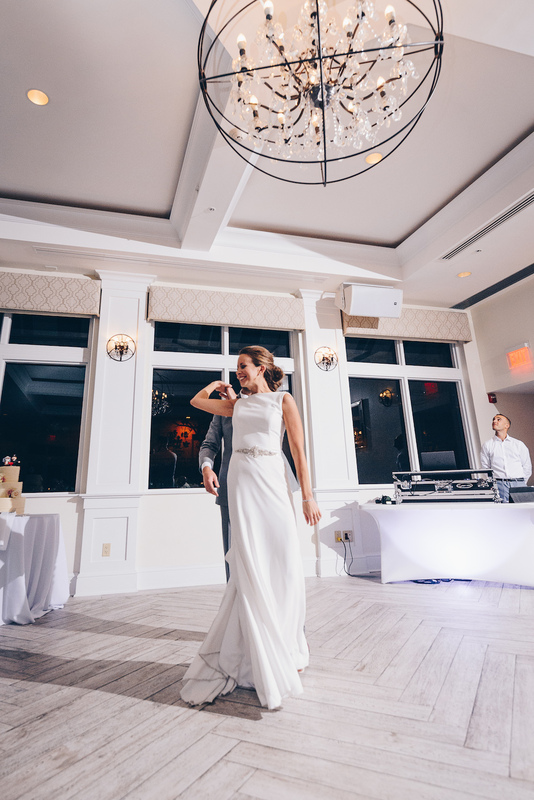 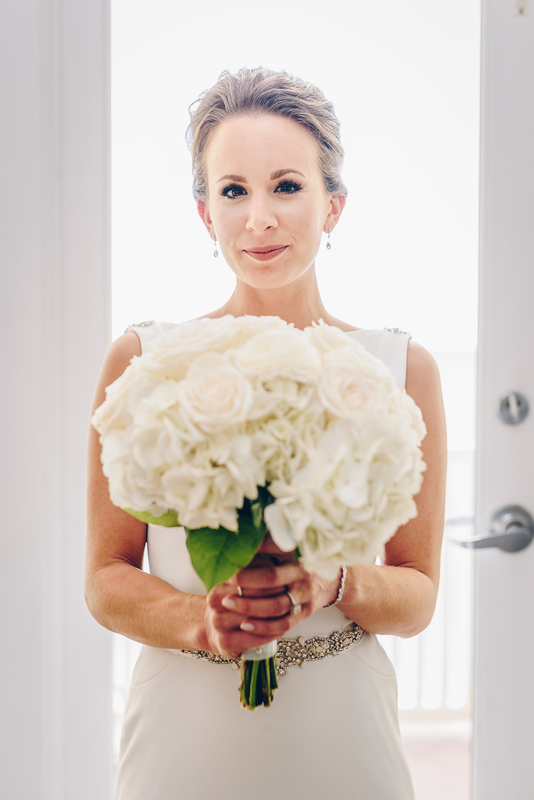 The bride looked gorgeous in her simple, white gown with her silver embellished belt. 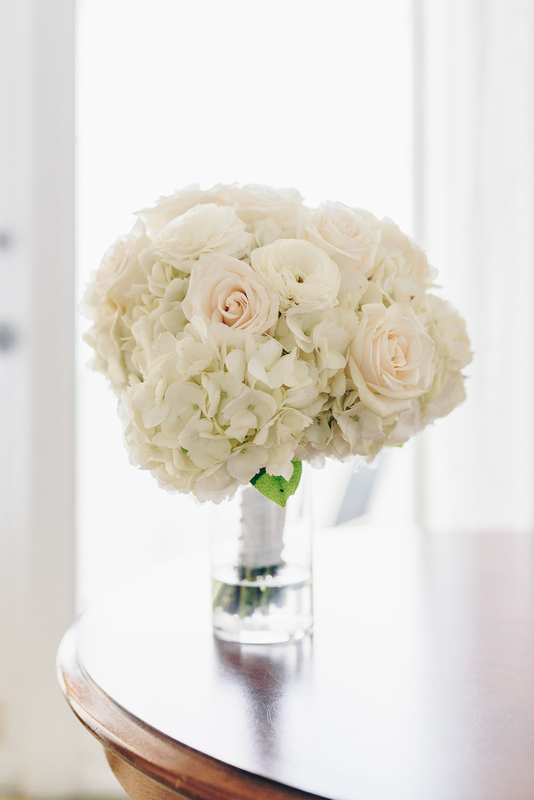 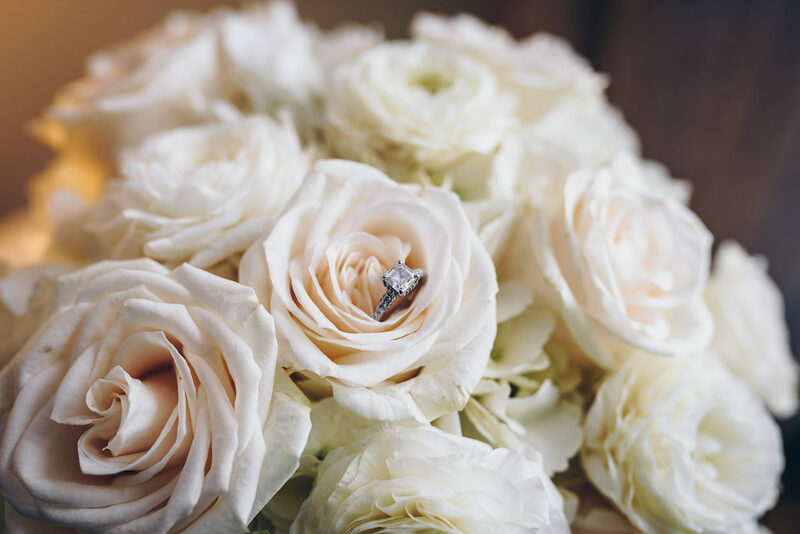 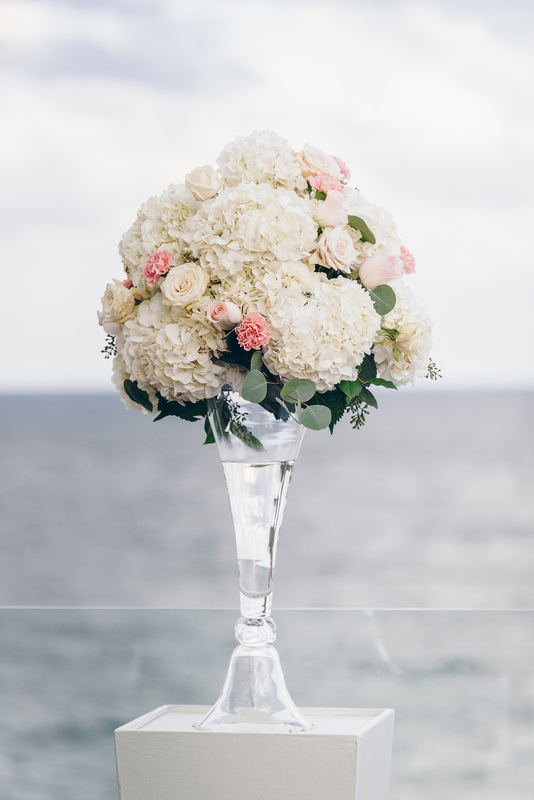 Her precious bouquet was filled with variations of white roses and ivory blooms. 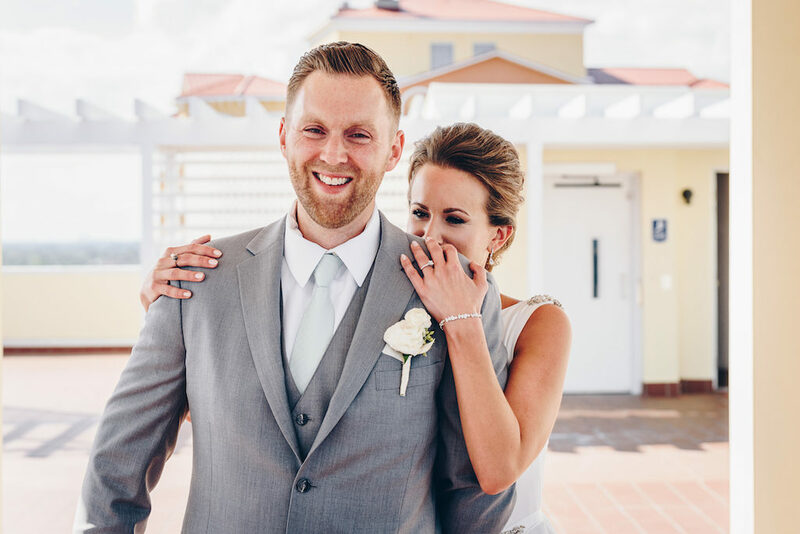 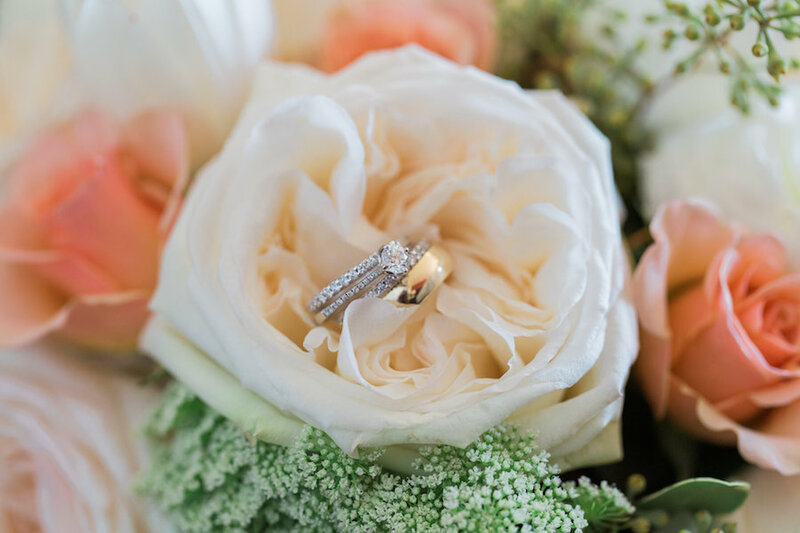 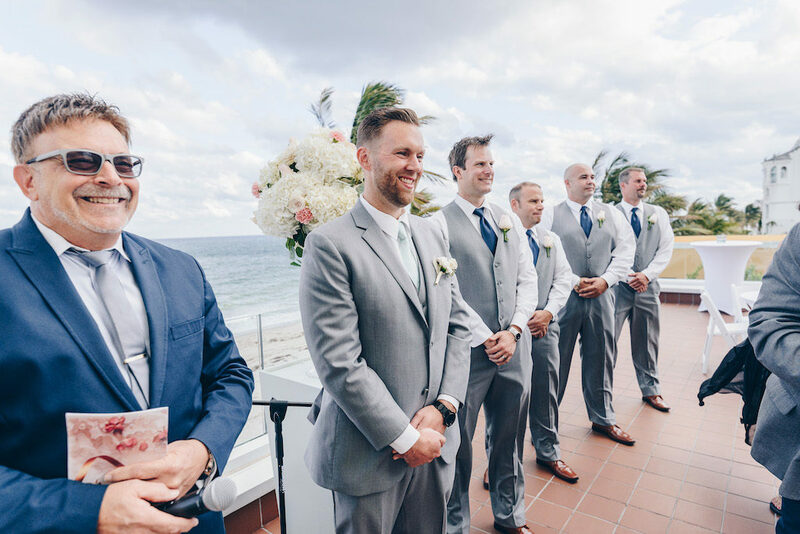 Her groom sported a light gray suit and finished his look with a white rose boutonniere while groomsmen also wore matching gray suits, only differing with a navy-blue boutonniere. 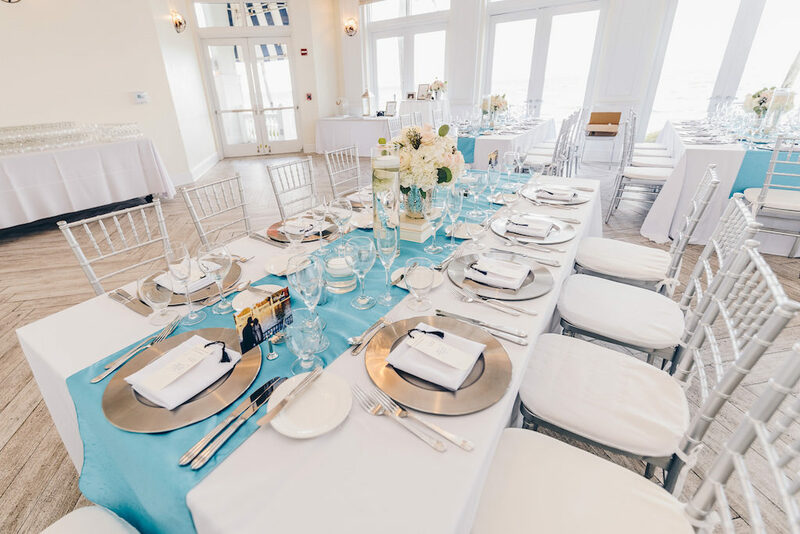 The entire Pelican Grand Resort Wedding theme was decorated with beachy and sweet embellishments. 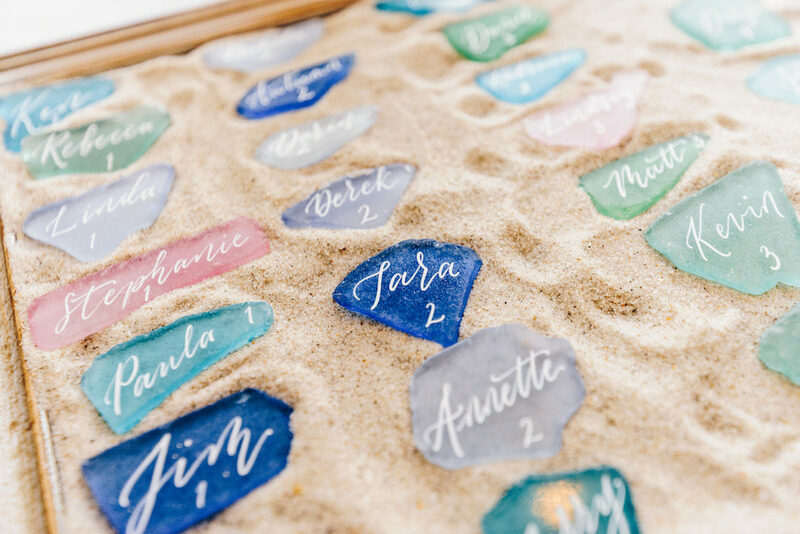 The couple chose to go with stained glass with each guests’ name’s painted across them, scattered in sand-filled boxes. 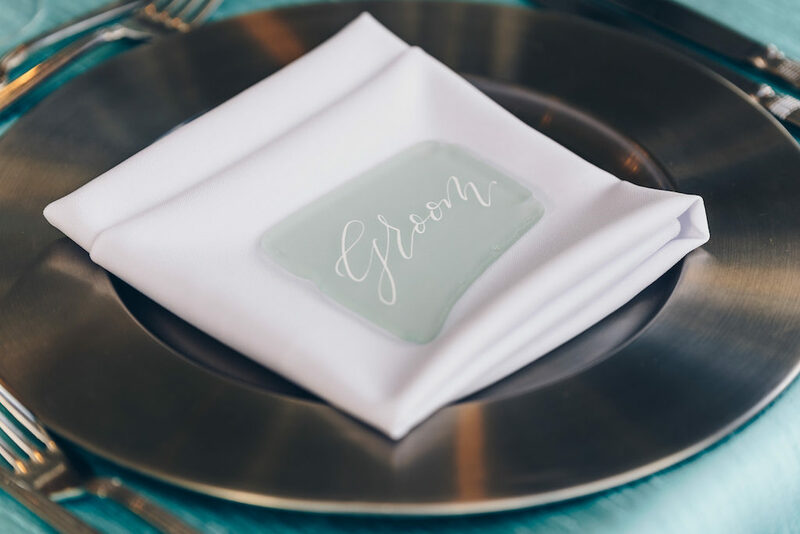 It perfectly accented the all-white adornment with the simple pop of tiffany-blue table runners. 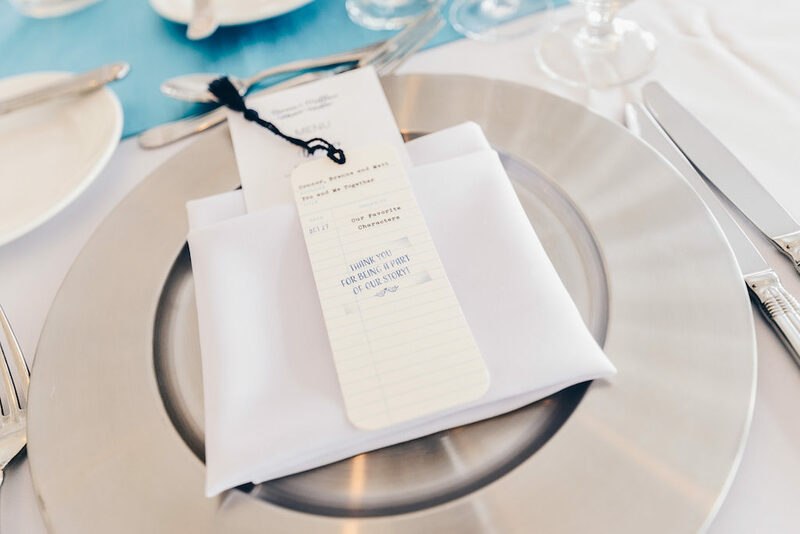 The table themselves were numbered with cutouts of popular destination spots, including the location where they first met, West Palm Beach. 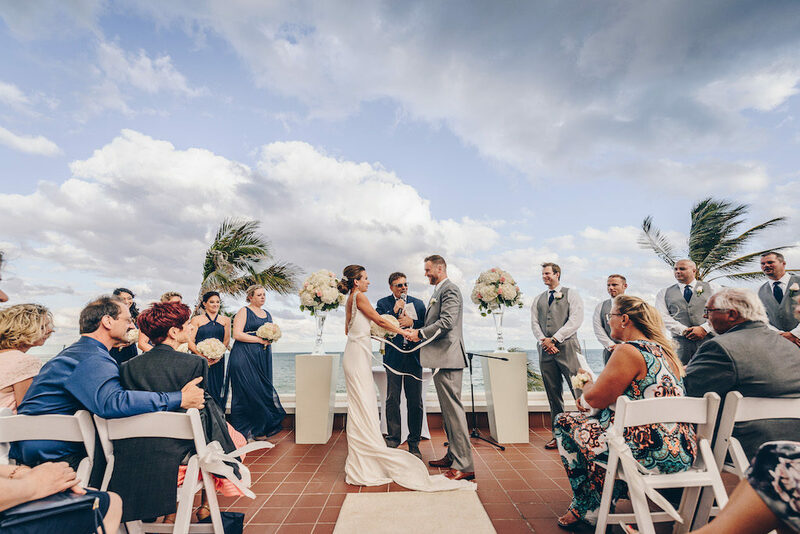 Each table held a blossoming bouquet of white roses that sat in silver flower pots and a selection of favored books of love– all with a white book cover, of course.